A smart investment for architects, engineers, and construction professionals, this robust, compact 36-inch printer easily fits your business. You can reduce time/waste with convenient features. Print conveniently on-the-go with HP Mobile Printing. Robust, compact, and professional—this printer fits your business and gives you space to work. 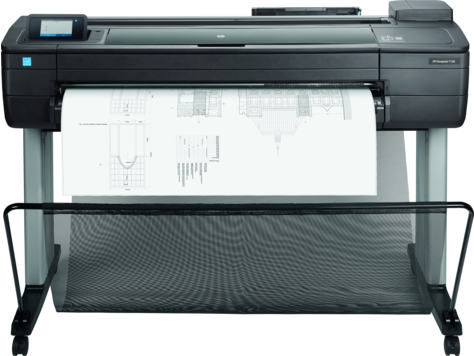 No LAN needed—move this printer any time, any place your Wi-Fi signal can reach with wireless connectivity. Use the HP AiO Printer Remote app to access additional print features when printing from a mobile device.